Parents of newborn babies tend to have a high regard for their baby’s safety. This is why a baby monitor is one of the best gadgets a parent can invest in. 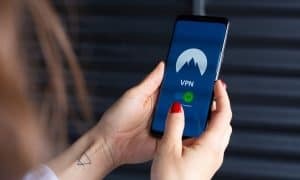 Not only does it give parents security in knowing the baby is okay but it also gives parents observational insight into baby’s behavior and personality. A baby monitor is also a valuable tool in learning about your baby’s sleep patterns which could help you give them a better nights rest. 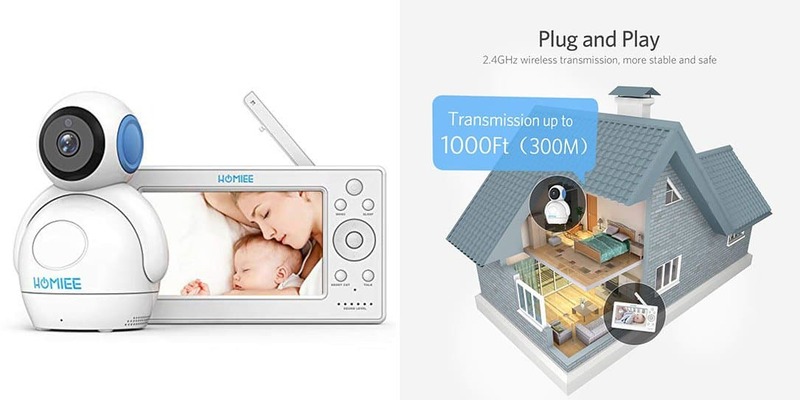 The Homiee wireless video baby monitor with 5” HD screen and full audio is one such gadget that will fit your needs. 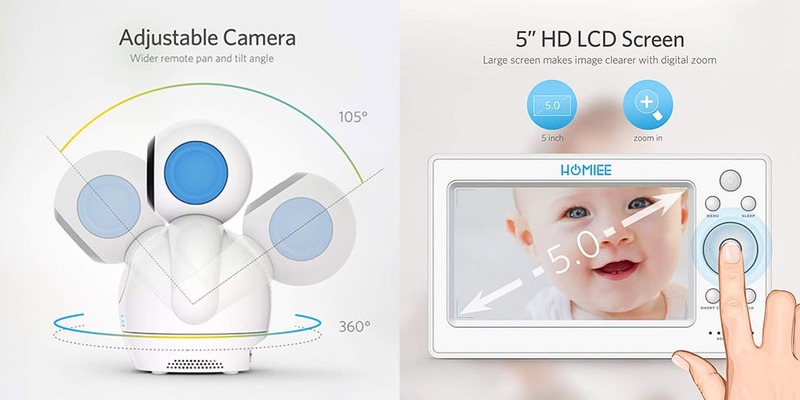 Here are the basic features of the Homiee wireless video baby monitor. 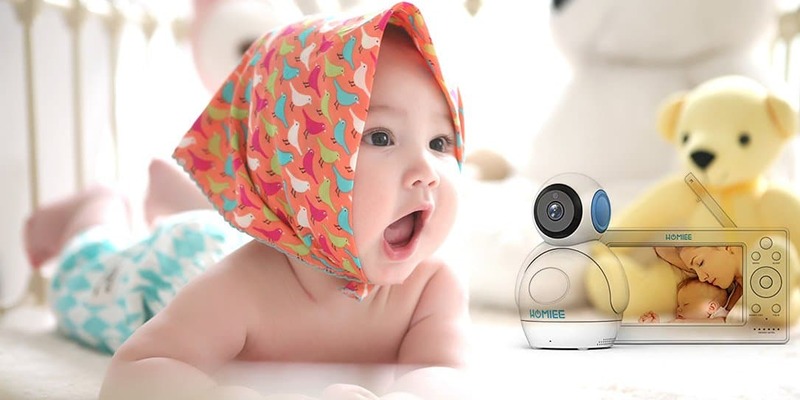 The Homiee baby monitor is a new generation of device designed especially for the baby. Some of the greatest advantages are the 5.0″ extra-large HD display, omnidirectional coverage (360 degrees, 105 degrees) helping to monitor any corner of the house, and digital zoom technology contributing to your observing the closer and clearer vision and what your baby is doing. The function of full-duplex voice talkback and night monitoring is also supported. Meanwhile, the monitor with an interphone provides two-way communication. So the parents can not only hear the sound in the baby’s room, talk to the baby but also see baby instead of having to walk into the baby’s room to check on them. Naturally, the parents can also get a good night’s sleep. The Homiee can also be used for detection of room temperature in the house and as a crying alarm. The temperature feature can ensure the room is cool enough and at a suitable temperature at the beginning of the night, reassuring the parents. When the temperature in the baby’s room is lower than the standard, it will raise the alarm to warn you. Furthermore, it can detect a baby’s cry. When a baby’s cry is captured, it will raise the alarm to make sure that you receive the message about the baby’s cries straight away. You can also set the Homiee to alert you to different levels of sound or motion. This way you won’t be getting notifications for simple movements or sounds. The Homiee also comes with a 2,000mAh internal rechargeable battery. The battery can continue working for seven hours under the power saving mode and the display screen can continue for four hours after being opened. The Homiee has 5 built-in cradlesong options which can help parents with comforting the baby when it’s time to sleep. The Homiee incorporates 2.4GHz wireless technology providing 100％ digital privacy and safety as well as video and audio playing without delay. It has a night visual range reaching up to 5m and supports the function of bi-directional audio call. Relying on the advanced wireless technology, it has a reachable transmission distance of 1,000 feet (300m). When you are cooking in the kitchen or learning and working, the device can help you to pay close attention to your baby’s actions and safety. 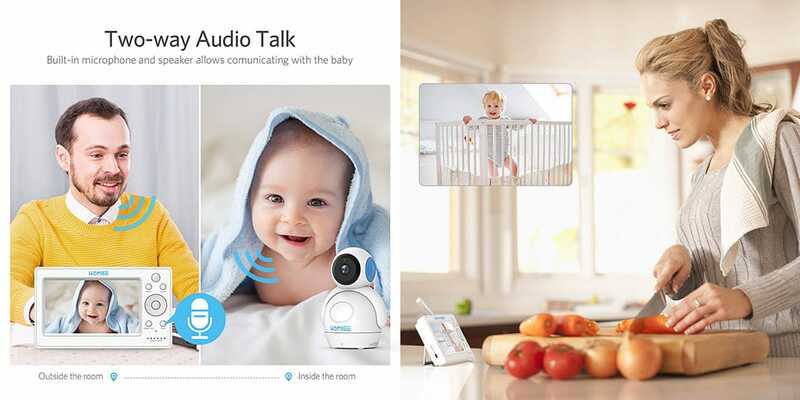 In addition, it is not only used as a baby monitor but also for monitoring the pet and the dynamic at home. Furthermore, it can be widely used in many places such as the hospital, school, and office, etc. Press down on the display. After two seconds, the real-time video will be displayed at the monitor. Insert one end of charging cable into the USB charging port on the side of the display, insert the other end of charging cable into the power adapter, and then insert the adapter into the power socket. Set the alarm range for audio sensitivity. The function can recognize the baby’s crying and screaming sound. When it is beyond the setting scope, the display may sound an alarm. Select the icon sound and then press the button “OK” of display. According to the need, select the icon “Low, default, high” and press the button “OK” on the display to complete audio alarm setting. Caution: The alarm will last for 1 minute. You can press any button on the display to close the audio alarm. There will be no notification within 3 minutes after the button is closed. Setting temperature alarm: when the baby’s room is too hot or too cold, the temperature alarm will send a notification to your display. You should firstly click the button and then press the button “OK” on the display. You can set the Fahrenheit degree or Celsius degree through two ways. Temperature switch: if you select “ON” and press the button “OK” on the display, the temperature alarm function will be enabled successfully.